So many things for me invoke the thought of summer. Beaches, sundresses, popsicles, lightning bugs, country music, margaritas, pool time. The list is endless. It’s the one season that seems to allow you to kick back, soak in some rays and RELAX. To keep you in that summer state of mind, here are just a few things that I thought might help to keep you plugging away until the weekend. Until then, play some Rascal Flatts Summer Nights or whatever makes you think of summer, and share with the Jar gals what else keeps you in that summer mood. 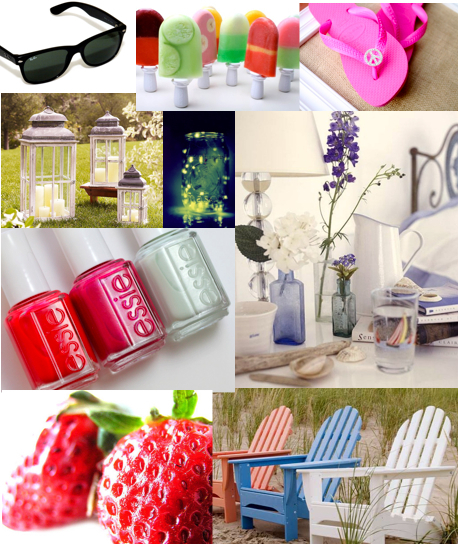 NEED that Essie Absolutely Shore. Margaritas on Chava’s patio in Soulard!